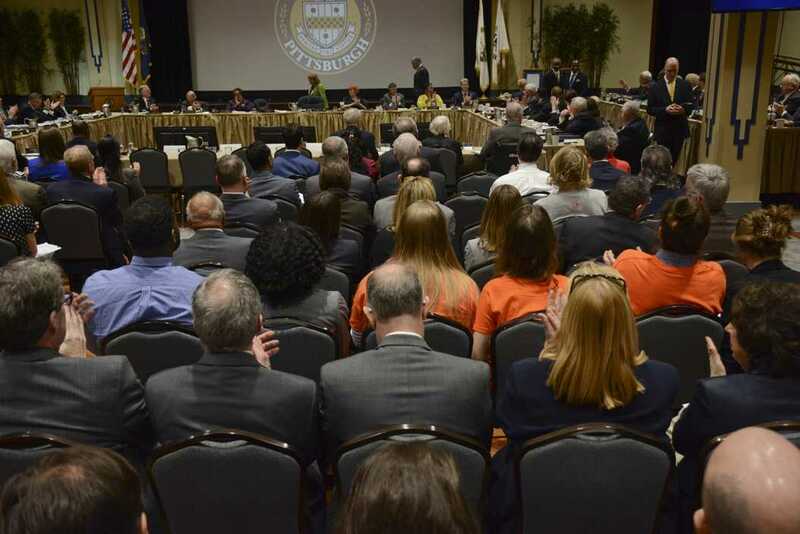 The University of Pittsburgh’s Board of Trustees approved close to $44 million of renovation projects across campus at a Property and Facilities Committee meeting Friday morning. According to University spokesperson Joe Miksch, the approved renovations will include five projects within five Pitt facilities. The most costly of these will take effect in the Petersen Events Center, where $13.75 million will fund a project supporting network broadcasts in compliance with a contractual agreement with the Atlantic Coast Conference Network. This will include the construction of a broadcast studio and offices as well as new mechanical and electrical infrastructure, Miksch said. In a separate project, renovations will be made to remodel the Schenley Quadrangle’s structure, plaza and garage, and to improve the area’s ability to meet requirements of the Americans with Disabilities Act. The structural, electrical, mechanical and plumbing infrastructures will be replaced as well — all adding up to an estimated $10.29 million. The Center for Biotechnology and Bioengineering will receive $8 million for new research facilities, which will be provided by renovating 9,000 square feet on the first floor, along with upgrades to adjacent buildings. Other projects include renovations to the ninth and 10th floors of the Chevron Science Center — featuring two new synthetic chemistry labs — for an estimated cost of $6 million, and renovated communal bathrooms in the Litchfield Tower C residence hall at an estimated cost of $5.86 million.